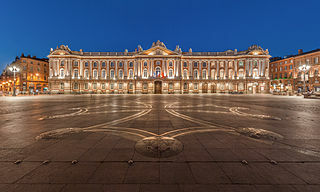 The International Conference on Principles and Practice of Constraint Programming will take place in Toulouse, France, from September 5th to September 9th 2016. This is the 22nd edition of the annual conference on all aspects of computing with constraints, including: theory, algorithms, environments, languages, models, systems, and applications such as decision making, resource allocation, scheduling, configuration, and planning. The Association for Constraint Programming has a list of previous conferences in this series. The CP 2016 program will include presentations of high quality scientific papers on constraints technology. In addition to the usual technical track, the CP 2016 conference will feature thematic tracks. Each track has a specific sub-committee to make sure that competent reviewers will review the papers submitted by people of these domains. A number of invited talks on important topics relevant to the field will also be presented. Beyond the usual workshop, tutorial and doctoral programs, we will repeat the published paper track in which important results that have recently appeared in journals or sister conferences will be presented, the journal publication fast track for outstanding submissions, and the industry outreach program. Finally, we introduce this year a challenge based on a realistic industrial grade optimization problem. Michel Rueher, University of Nice Sophia Antipolis, France. We solicit papers that report on significant, original, and previously unpublished research on all aspects of computing with constraints. Laurent Michel, University of Connecticut, USA. CP 2016 solicits papers promoting applications based on CP technologies. We especially look for industrial and academic users of constraint technology to submit papers on completed or on-going practical projects. Papers comparing constraint technology to other optimization techniques (e.g., MIP, SAT, local search…) with a sound empirical evaluation are equally welcome. The ideal paper will clearly define the application, the users’ benefits, describe the efforts needed to build the application and the time frame in which it was delivered. While not strictly mandatory, novelty of the application domain or the use of CP technology by itself or within hybrids is a plus. Christine Solnon, INSA de Lyon France. This thematic track invites the submission of research papers on novel computational concepts, models, techniques, and systems to address problems in computational sustainability. Papers should describe computational sustainability research, or explain how the research addresses problems, opportunities or issues underlying computational sustainability challenges, or describe a computational sustainability challenge or application. Papers on challenges in computational sustainability are also welcome. Alessandro Dal Palù, University of degli Studi di Parma, Italy. During the last years, Biology has become a source of challenging problems for the entire field of Computer Science in general, and for the areas of computational logic and constraint programming in particular. Successful approaches to these problems are likely to have significant applications in several fields of research, such as medicine, agriculture, industry, etc. Several successful applications of the Logic and Constraint Programming paradigms in Bioinformatics have been carried out in the last years, in the area of phylogenetic tree reconstruction, in haplotype inference, in proteins structure prediction, in RNA secondary structure prediction, and in System Biology, just to cite a few. Workshops on constraints and bioinformatics are organized yearly since 2005 and a special track of the ALMOB Journal on the same topic is active since 2012. Charlotte Truchet, University of Nantes, France. Since its early beginning, Constraint Programming has a long history of musical applications, like automatic harmonization, rhythm generation tools, musical generation in a given style, constraint languages for music, etc. The music track welcomes articles on any kind of musical application, including (but not restricted to): music or sound generation or processing, music modelling or analysis, generation of a particular musical aspect (chords, notes, rhythms, etc.) of a musical piece, etc. On the CP side, we welcome submissions for any kind of CP techniques, whether they are used in a classical way (solving) or a less classical way (modelling languages, use of CP solving traces, auralization, etc.). Francesca Rossi, University of Padova, Italy. Collective decision-making is an area of increasingly growing interest, driven by the increasing prevalence of systems where people connect and share information with others. Constraint programming can have a major impact in this field. However, this will require connections being made to other research areas such as preferences, voting and game theory, multi-agent systems, machine learning, and reasoning under uncertainty. This track welcomes papers that are concerned with topics that connect to these areas in one way or the other. Arnaud Gotlieb, Simula Research Laboratory, Norway. The goal of this track is to provide a forum to discuss important results in the area of constraint programming, including those at the interface of another area (scientific, industrial, artistic…), that appeared or were accepted recently (in the last two years) in relevant journals and in sister conferences (a non exhaustive list of sister conferences contains AAAI, ECAI, IJCAI, ICAPS, KR, AAMAS, etc). An important requirement for the paper is that it should have never been presented at CP in past editions. Authors of accepted papers will be invited to give an oral presentation at the conference and to provide a one-page abstract citing their journal/sister conference paper for the conference proceedings. Willem-Jan van Hoeve, Tepper School of Business, Carnegie Mellon University, USA. Outstanding submissions to the technical or thematic tracks will be offered the opportunity to be published exclusively through a fast-track process in the Constraints journal: following a second round of minor review they will be accepted directly in the journal by the time of the conference. Authors of these papers can opt to extend their paper from 15 to 20 pages plus references. These papers will be acknowledged through a one-page abstract in the conference proceedings and will be presented during the conference on the same ground as any other accepted submission. Fast Track Journal papers should be formatted according to the Constraints Journal Guidelines. Authors who decline to fast track their submission revert to a standard conference submission and are subject to the default formatting, length and date requirements. Papers that do not clear the second round of review also revert to standard conference paper status. Pierre Schaus, UC Louvain, Belgium.